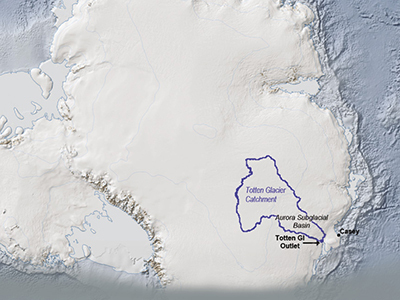 The Totten Glacier Catchment (outlined in dark blue) is a collection basin for ice and snow that flows into the ocean. The catchment is estimated to contain enough frozen water to raise global sea levels by at least 11 feet. Researchers at the University of Texas at Austin, NASA, and other organizations have discovered two seafloor troughs that could allow warm ocean water to reach the base of Totten Glacier, East Antarctica’s largest and most rapidly thinning glacier. The discovery likely explains the glacier’s extreme thinning and raises concern about its impact on sea-level rise. The result, published in the journal Nature Geoscience in 2015, has global implications, because the ice flowing through Totten Glacier alone is equivalent to the entire volume of the more widely studied West Antarctic Ice Sheet. If Totten Glacier were to collapse completely, global sea levels would rise by at least 11 feet (3.3 meters). As in the West Antarctic Ice Sheet, complete collapse of Totten Glacier may take centuries, although the timing of retreat in both places is the subject of intensive research. The data for this study were gathered as part of the International Collaboration for Exploration of the Cryosphere through Airborne Profiling (ICECAP) project, which, together with the East Antarctic component of NASA’s Operation IceBridge mission, made the first comprehensive survey of the Totten Glacier Ice Shelf and nearby regions between 2008 and 2012. Other coauthors of the study come from research organizations and universities in Australia, France, and England. Volcanoes have always fascinated Carolyn Parcheta. She remembers a pivotal moment in sixth grade, watching a researcher take a lava sample on a science TV program. “I said to myself, I&apos;m going to do that someday,” said Parcheta, now a postdoctoral fellow based at NASA&apos;s Jet Propulsion Laboratory (JPL) in Pasadena, California. In addition to improving models for use on Earth, the research has implications for extraterrestrial volcanoes. In a recent experiment, the team had its first robot, VolcanoBot 1, roll down a fissure—a crack that erupts magma—that is now inactive on the active Kilauea volcano in Hawaii. It was able to descend to depths of 82 feet (25 meters) in two locations on the fissure, although it could have gone deeper with a longer tether, as the bottom was not reached on either descent. The researchers plan on returning to the site soon with a lighter, smaller unit, dubbed VolcanoBot 2, in order to descend even deeper for further investigation. 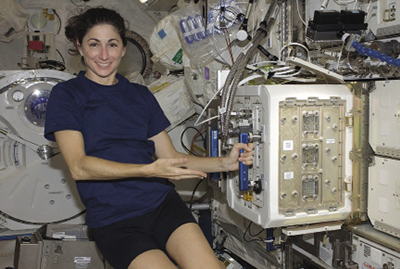 NASA Astronaut Nicole Stott is pictured near the Mice Drawer System (MDS) in the Kibo laboratory of the ISS. Modules such as MDS are helping researchers understand bone formation and health. Growing bone on demand sounds like a space-age concept—a potentially life-changing one—but related research is hardly science fiction, as a study into a key bone-growing protein was recently funded to take place in orbit aboard the International Space Station. “This research has translational application for astronauts in spaceflight and for patients on Earth who have osteoporosis or other bone-loss problems from disease, illness, or trauma,” said Dr. Chia Soo, University of California, Los Angeles professor of plastic and reconstructive surgery and orthopedic surgery. Ground tests for an investigation known as Systemic Therapy of NELL-1 for Spaceflight-Induced Osteoporosis began in 2015. By studying the NELL-1 protein aboard the space station, researchers hope the microgravity tests will reveal additional insights into how it works. This may help refine and optimize future use of the protein for therapy in humans on Earth. New maps of two recent California megafires that combine unique datasets from the U.S. Forest Service (USFS) and NASA’s Jet Propulsion Laboratory (JPL) are answering some of the urgent questions that follow a huge wildfire: In all the acres of blackened landscape, where are the live trees to provide seed and regrow the forest? Which dead trees could endanger workers rebuilding roads and trails? What habitats have been affected? 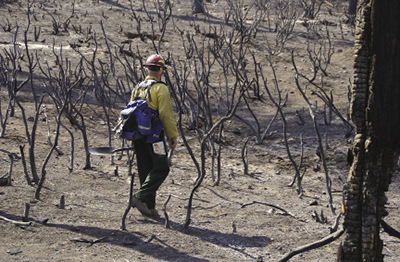 Above, soil scientists begin an evaluation of the area burned during the 2013 Rim fire in order to assess the need for emergency soil-protection measures. Below, new vegetation is shown growing just three weeks after the fire ended. Highly detailed maps created by NASA and the U.S. Forest Service can pinpoint pockets of green down to individual trees, which can indicate potential seed sources and wildlife habitats. The maps, so detailed that they show individual trees, cover the areas of two California megafires—the 2013 Rim fire, which burned more than 250,000 acres (390 square miles) near and in Yosemite National Park, and 2014’s King fire near Lake Tahoe—before, during, and after the active burns. 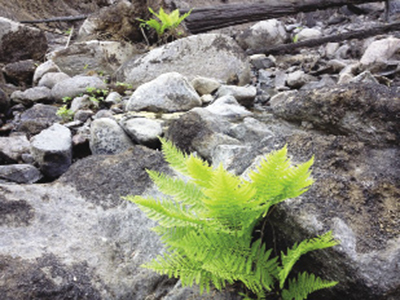 As the Forest Service directs ongoing recovery and restoration projects in the two areas, it is using the maps to target its efforts toward important goals such as reducing soil erosion and protecting wildlife. The maps include observations from three instruments: JPL’s Airborne Visible/Infrared Imaging Spectrometer (AVIRIS); JPL’s MODIS/ASTER Airborne Simulator (MASTER), which observes in thermal infrared; and lidar data showing terrain and canopy in high resolution. AVIRIS and MASTER are airborne prototypes of two instruments that will one day launch as a part of the Hyperspectral Infrared Imager (HyspIRI) satellite mission, which will study Earth’s ecosystems and provide critical information on natural disasters. Wildfires increase erosion by burning off plants that stabilize soil and diffuse rain. Intense burns often create a water-resistant layer atop the soil so that rain runs off instead of soaking in, cutting deep channels and increasing flood and landslide danger downstream. The maps identify where trees and plants are still alive and erosion control is not needed. The Forest Service is also working with the University of California, Davis and nongovernmental organizations to manage the goals of simultaneously clearing hazardous burned timber and preserving habitats for as many species as possible. 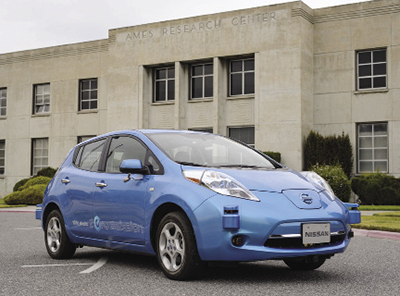 NASA’s Ames Research Center and Nissan North America partnered in 2015 to research and test self-driving capabilities for automobiles. Ames will assist in reimbursed design, development, testing, and assessment of Nissan’s autonomous vehicles, including the use of Ames’ campus for testing. As Ames participates in this reimbursed partnership, NASA will benefit from Nissan’s shared expertise in innovative component technologies for autonomous vehicles, shared research to inform development of vehicular transport applications, access to appropriate prototype systems, and provision of test beds for robotic software. Lessons learned from integration, testing, and demonstrations will enable Nissan North America to better plan for development and commercialization of autonomous vehicles and applications. Even Earth’s skies were celebrating St. Patrick’s Day in 2015, when a severe geomagnetic storm—the strongest of the past decade—painted the sky with green, red, and blue auroras from New Zealand in the south to Alaska, Canada, and large parts of Europe in the north. Conditions provided a fantastic opportunity for aurora viewing from above and below. The Suomi NPP satellite acquired this view of the Aurora Borealis around 1:30 a.m. EDT on March 18, 2015. Auroras appear as white streaks over Hudson Bay and southern Canada. At the same time, the Aurorasaurus project scraped social media feeds for photos of the phenomenon taken by individuals on the ground (background). A coronal mass ejection was first observed by NASA and National Oceanic and Atmospheric Administration instruments on March 15. 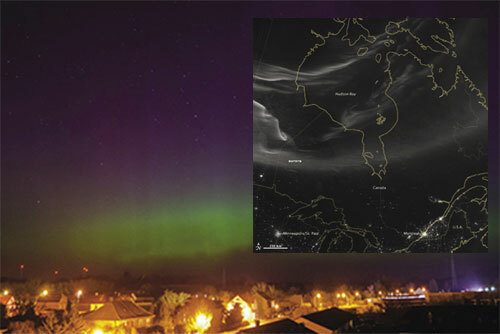 When the particles reached Earth two days later, the Suomi NPP satellite acquired imagery of the Aurora Borealis from above, while skywatchers on the ground captured some spectacular views and began reporting aurora sightings on Twitter. The images were submitted through Aurorasaurus, a citizen-science project designed to improve a person’s chance of seeing the aurora by collecting and sharing observations reported via Twitter, the project’s Web site, and iOS and Android apps. The project assembles tweets and reports in real time and places them on a map, along with information about cloud cover and the extent of the auroral oval—the region centered around each pole where the aurora is estimated to be visible. For the St. Patrick’s Day storm, Aurorasaurus gathered 35,000 aurora-related tweets and reports, and users verified more than 250 of them as positive sightings. The project sent more than 360 real-time notifications alerting users that an aurora might be visible near them. The project intends to use the citizen-science observations as “ground truth” for improving auroral oval models. Aurorasaurus is a research project supported by the National Science Foundation and designed by researchers from the New Mexico Consortium, NASA, Pennsylvania State University, and Science Education Solutions. Asteroids such as this one (circled) will be easier to identify using an algorithm created as a result of a NASA partnership. Analysis of images taken of our solar system’s main asteroid belt between Mars and Jupiter using the algorithm resulted in a 15 percent increase in positive identification of new asteroids. During a panel at the 2015 South by Southwest Festival in Austin, Texas, NASA representatives announced the release of a free desktop software application developed by NASA in partnership with Planetary Resources Inc., of Redmond, Washington. The application, which can be used by anyone, is based on an Asteroid Data Hunter-derived algorithm that analyzes images for potential asteroids. The Asteroid Data Hunter challenge was part of NASA’s Asteroid Grand Challenge and offered a total of $55,000 in awards for participants to develop significantly improved algorithms to identify asteroids in images captured by ground-based telescopes. Those interested in the software can download it by visiting http://topcoder.com/asteroids. 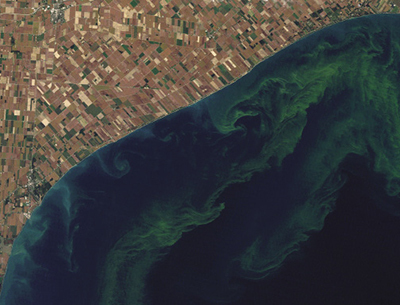 An algal bloom in Lake Erie, as seen from space. NASA has joined forces with the U.S. Environmental Protection Agency, National Oceanic and Atmospheric Administration, and U.S. Geological Survey to transform satellite data designed to probe ocean biology into information that will help protect Americans from harmful freshwater algal blooms. Algal blooms are a worldwide environmental problem causing human and animal health risks, fish kills, and off-taste and odor in drinking water. In the United States, the cost of freshwater degraded by harmful algal blooms is estimated at $64 million annually. The new $3.6 million, multi-agency effort will use ocean color satellite data to develop an early warning indicator for toxic and nuisance algal blooms in freshwater systems and an information distribution system to help expedite public health advisories. Researchers at NASA&apos;s Langley Research Center check results following preliminary NASA flight tests of nonstick coatings, which were selected in the hopes they could keep bug splatter off wings. Two NASA experiments designed to help reduce fuel consumption and pollution emissions recently flew on a specially outfitted Boeing 757 airplane called the ecoDemonstrator. The first technology to be tested is called the Active Flow Control Enhanced Vertical Tail Flight Experiment. NASA worked with Boeing to install 31 tiny jets called sweeping jet actuators that can manipulate, on demand, the air that flows over the ecoDemonstrator 757’s vertical tail and rudder surfaces. An aircraft’s vertical tail is primarily used to add stability and directional control during takeoff and landing, especially in the event of an engine failure. But when the aircraft is cruising at altitude, the large, heavy tail is not necessary. Ground studies by a team of NASA, Boeing, University of Arizona, and California Institute of Technology researchers on a full-scale 757 vertical tail in a wind tunnel at NASA’s Ames Research Center showed the active flow control jets could increase side force by 20 to 30 percent. Researchers expect the flight tests to confirm those results. A 20 percent increase in side force could allow designers to scale down the tail by about 17 percent and reduce fuel usage by as much as one-half percent. In another set of flight tests, NASA began assessing how well five different coatings repel insect residue for an experiment called Insect Accretion and Mitigation. Bug remains may be only a nuisance on cars, but on some airplane designs they also cause drag, which increases fuel consumption. 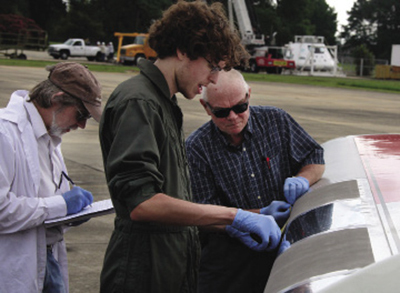 Engineers at NASA’s Langley Research Center in Hampton, Virginia, developed and tested a number of nonstick coatings that were tested on the right wing of the ecoDemonstrator. A new Government-developed Automatic Ground-Collision Avoidance System (Auto-GCAS) that could significantly reduce the incidence of aircraft accidents is currently being integrated into the flight-control systems of the U.S. Air Force’s fleet of F-16 fighter aircraft. The software aims to prevent accidents in which an aircraft is unintentionally piloted into the ground, a mountain, a body of water, or any other obstacle, known as controlled flight into terrain (CFIT). 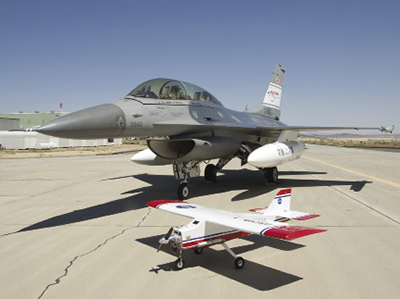 Pioneered by a partnership between the Office of the Undersecretary for Personnel and Readiness, the Air Force Research Laboratory, NASA’s Armstrong Flight Research Center, the Air Force Test Center, and Lockheed Martin, the system is expected to be applicable to a wide variety of civil and military aircraft. Extensive flight-testing at Armstrong demonstrated that advanced computing technology could significantly reduce the number of accidents attributed to CFIT, a leading cause of fatalities in both civilian and military aviation that results in roughly 100 deaths each year in the United States alone. Although cockpit warning systems have virtually eliminated CFIT for large commercial air carriers, the problem still remains for fighter aircraft, helicopters, and general aviation. NASA has been jointly developing automatic collision avoidance technologies with the Air Force for nearly three decades. In 2012 the system was installed in a Dryden Remotely Operated Integrated Drone (DROID) and flown from a far-flung, dry lakebed surrounded by rugged desert terrain. Throughout the test series, the smartphone-assisted autopilot repeatedly executed pull-ups or sharp turns to avoid imminent impact with terrain in the DROID’s flight path. Future NASA research with smartphone-augmented unmanned aircraft may have significant applications in developing sense-and-avoid technology for civil aviation and remotely piloted or autonomous aircraft sharing the national airspace system. 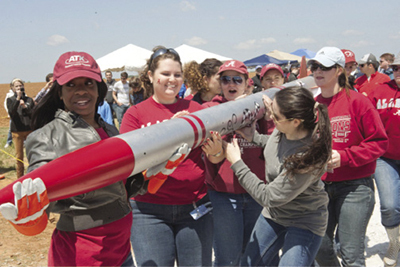 More than 30 high school, college, and university teams launched student-built rockets during the 15th annual NASA Student Launch event in 2015 near NASA&apos;s Marshall Space Flight Center in Huntsville, Alabama. Middle- and high-school teams attempted to reach an altitude of one mile, where they deployed onboard science experiments, before landing safely using a system of recovery parachutes. University and college teams participated in one of two other events with more challenging requirements, competing for a share of $50,000 in prize money. Student teams shared their research results with NASA, which may use them to design and develop future Agency projects. The event was run by Marshall&apos;s Academic Affairs Office and supported by NASA&apos;s Office of Education, Human Explorations Operations Mission Directorate, and Centennial Challenges Program at Agency headquarters, as well as Orbital ATK Propulsion Systems of Promontory, Utah. Newly 3D-printed wrenches, data to improve cooling systems, protein crystals, and seedling samples returned aboard a SpaceX Dragon capsule following a resupply mission to the International Space Station (ISS). Researchers will use samples and data returned to improve scientific studies on Earth and build on research that will enable space exploration. Printed parts and hardware returned from the first phase of operations for the 3D Printing In Zero-G technology demonstration aboard the station. A study team from NASA and the company Made In Space, of Moffett Field, California, demonstrated the first-ever 3D printing in space using relatively low-temperature plastic feedstock on the ISS. The test phase culminated in the printing of a ratchet wrench using a design file transmitted from the ground to the printer. 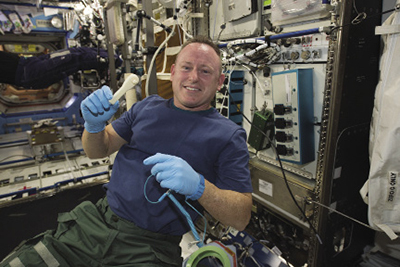 ISS Expedition 42 Commander Barry "Butch" Wilmore shows off a ratchet wrench made with a 3D printer on the station. The wrench and other parts returned to Earth in SpaceX’s Dragon capsule, along with a number of important science experiments. Made In Space’s printer has become a commercially available resource for printing in microgravity (Spinoff 2015). Many physical science investigations take place aboard the ISS. Hardware and data from a recent study of critical liquids and crystallization returned aboard Dragon: on the orbital laboratory, researchers examined liquids on the verge of boiling to understand how the flow of heat in liquids behaves in microgravity. This is important to the development of cooling systems for space exploration, with additional applications to waste disposal and recycling processes on Earth. The Advancing Membrane Protein Crystallization by Using Microgravity investigation aimed to produce high-quality crystals of the cystic fibrosis protein and other closely related proteins. Since many medically relevant proteins are difficult to crystalize on Earth, researchers attempt to grow them in space to help determine their shape and structure for drug development. Scientists hope to improve drug therapies for cystic fibrosis, a genetic disorder that causes severe damage to the lungs and digestive system. Seedlings of the plant Arabidopsis thaliana, or thale cress, featured heavily in three other studies that returned samples with the SpaceX Dragon. Growing organisms like these to study plant biology in space may enable future space exploration by providing a source of food and helping to create breathable air for astronauts. Samples from the Advanced Plant Experiments 03-1 were returned to help scientists better understand the effects of microgravity on the development of roots and cells in plant seedlings. Researchers will conduct a detailed analysis on the returned plant samples to learn about the molecular and genetic mechanisms that control plant development. With this knowledge, scientists may be able to improve agricultural and energy research on Earth, leading to crops that use resources more efficiently. And finally, samples from Seedling Growth-2 will help scientists determine the effects of microgravity and light on plant growth, development, and cell production. The plants are grown in different wavelengths of light (red and blue), and both the plant growth and the expression of selected genes are compared to control plants on Earth. “In the long term, these studies will aid in growing plants on space missions, as well as developing better crop species on Earth,” said John Kiss, principal investigator for Seedling Growth-2. 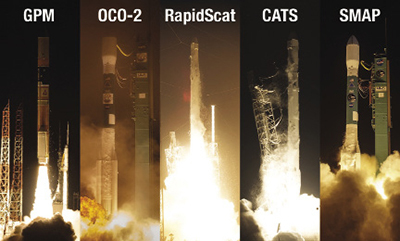 Five new NASA Earth-observing missions are now operational after the busiest year of NASA Earth-science launches in more than a decade. They include: the Global Precipitation Measurement Core Observatory, a collaboration between NASA and the Japan Aerospace Exploration Agency; the Orbiting Carbon Observatory-2 satellite; two instruments now mounted on the exterior of the International Space Station; and NASA&apos;s newest Earth-observing satellite, the Soil Moisture Active Passive. With these newcomers, NASA now has 19 Earth-observing space missions in operation, giving scientists an unprecedented look at numerous patterns on a global scale. Like all NASA data, observations will be freely available to the international scientific community and decision makers in the United States and abroad. 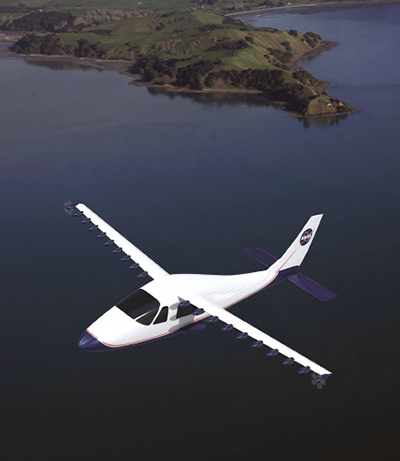 The arrival of an experimental demonstrator at NASA Armstrong Flight Research Center in 2015 may herald a future in which many aircraft are powered by electric motors. The Leading Edge Asynchronous Propeller Technology (LEAPTech) project tested the premise that tighter propulsion-airframe integration, made possible with electric power, can deliver improved efficiency and safety, as well as environmental and economic benefits. Over several months, NASA researchers ground-tested a 31-foot, carbon-composite wing section with 18 electric motors. The project was carried out in partnership with Empirical Systems Aerospace of Pismo Beach, which handled system integration and instrumentation, and Santa Cruz’s Joby Aviation, which designed and manufactured the motors, propellers, and wing section. The experimental wing, called the Hybrid-Electric Integrated Systems Testbed (HEIST), was mounted on a specially modified truck. Instead of being installed in a wind tunnel, the HEIST wing section was attached to a supporting truss while the vehicle was driven at speeds up to 70 mph. The experiment is a precursor to a development of an X-plane demonstrator proposed under NASA’s Transformative Aeronautics Concepts program. Researchers hope to fly a piloted X-plane within the next couple years after removing the wings and engines from an Italian-built Tecnam P2006T and replacing them with an improved version of the HEIST wing and LEAPTech motors. Using an existing airframe will allow engineers to easily compare the performance of the X-plane with the original P2006T. Key potential benefits of LEAPTech include decreased reliance on fossil fuels, improved aircraft performance and ride quality, and aircraft noise reduction. 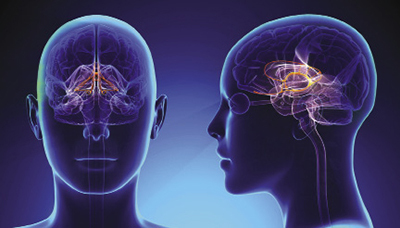 Scientists at NASA Ames Research Center and San Jose State University have developed and validated a brief eye-movement-based test to assess brain health. The early work on this new “oculometric” analysis was funded by NASA to evaluate the use of eye-movement responses as a quantitative probe of human visual and vestibular function after exposure to microgravity or other spaceflight-related performance effects. In a recent project funded by the Office of Naval Research, NASA is working to adapt and refine this technology to assess mild-to-moderate traumatic brain injury (TBI) in order to provide the Navy with a noninvasive, effective tool for determining when individual sailors exposed to an impact or explosive blast have been adversely affected and when their brain function has fully returned to its normal baseline. Initial results from an ongoing TBI study are promising, showing that the NASA technology can detect and characterize mild impairment of brain function in “recovered” TBI patients without obvious clinical symptoms. “This sub-threshold measure is exactly what is needed to clearly document mild alterations of brain function that would likely be missed using standard neurological and imaging tests,” said Lee Stone, a research scientist at Ames. A second critical feature of this new technology is that the data are easily, inexpensively, and noninvasively collected, so it could be deployed in the field under conditions where access to a neurologist or an MRI would be impractical or impossible. That also means that in the future this device could be deployed in high school locker rooms for real-time use by coaches and trainers during sporting events to protect kids from sports-related brain injuries. 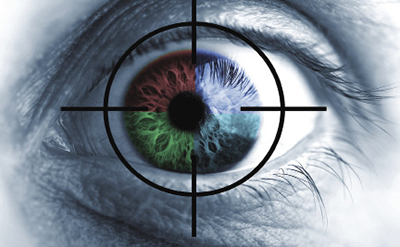 “Our long-term goal is to provide a reliable, yet inexpensive and easy-to-use neural assessment tool that can be used to keep people safe by detecting mild impairments in behavior and preventing permanent injury by keeping the person out of harm’s way until their brain fully returns to normal,” said Dorion Liston, a researcher at San Jose State University.